My name is Marc Fisher, owner of Auto Trim by Fisher a.k.a. Fisher Auto Trim, Glass and Upholstery. I’m third generation in the auto-trim business. My grandmother started it in 1948. I literally cut my teeth down at her shop. The work we do is sometimes very artistic. We create gorgeous upholstery out of yards of fabric and thread. We get praise and acceptance from our peers and customers. It is very satisfying to me. I love to make an ugly seat look like a work of art. I learned to sew at age 15. My dad would let me cover all the motorcycle seats after school and keep the money. I would go around to the motorcycle shops after school on my Yamaha 100cc motorcycle and pick up seats to recover. Back then I charged $12.50 – $15.00 a seat. Plain or pleated. They were all pretty straight and simple. Horizontal pleats or plain with a welt. I was making $75.00 on a good week. Minimum wage was probably $1.90 back then. In 1976, my brother and I went in business for ourselves. We got a loan and rented a nice building at a good location and opened up. We were going to do vinyl and convertible tops, carpet, headliners, body-side molding, pin stripes and glass replacement. The first day we did a set of body-side molding for $25.00. In today’s dollars that’s around $105.00. We had several people come in wanting seat covers, but we weren’t doing seat covers – too time consuming for the money it paid. After a few days of this, we went to dad and borrowed a machine (Pfaff 145) and built a table that night and was in the seat-cover business. I remember having six early mustangs on the lot at one time. I made cardboard patterns for the mustang seats. We could knock one out pretty quick. Then Distinctive Industries came out with readymade covers for Mustangs and various other cars. This was the coolest thing that had ever happened to our business since the glue gun: a two-gallon pot that sprays contact adhesive. Over the years, vinyl tops have faded to almost nothing. Carriage roofs have taken over. Molded carpets have replace cut-and-sewn carpet. Stick-on side molding have replaced the old rivet-on aluminum side moldings. Convertible tops went away for a few years, but have since came back in a big way. Bowed headliners have been replaced by padded ones. Most of these changes have been great for our industry! We have always done custom work: restoring old cars and customizing hotrods. It’s hard to price these custom jobs to make money. No mater what you quote, it seems like it’s never enough. Most of the time, owners of these cars brings them in for the interior last. Some have been working years and spent a small fortune on their cars. By the time we get to them, they are tired of spending or their wives are tired of them spending. Distinctive Industries expanded and Classic Soft Trim was launched. Soon after that, Katzkin came along. This has brought my business up several levels. 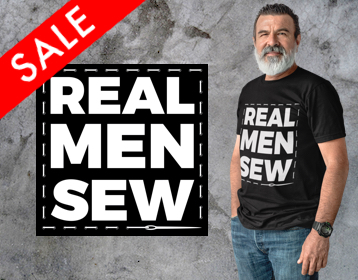 They require no sewing. Install a full leather kit in 3-4 hours and net $500-$600 profit. To recover two custom buckets on our own, it would take a day or two, and require a very skilled individual to cut and sew them. We usually do 1-2 leather kits every day. Many for dealers and many retail. A customer comes in, and his drivers seat cushion on his pick up is worn on the left side (LFCB or left-front cushion bolster) and the passenger side looks old. Instead of selling him an insert job for $150, I sell him a leather kit for the front seats for $850 or so. Or if his seats are in light cashmere or light titanium and are filthy, I sell him a leather kit. It will make the vehicle look and smell brand new, like leather. Vintage car restoration can make a good profit also. Most of the popular cars have everything readymade available. The down side of this is the Internet. The customer can find it on the net and just want us to install it. In this case, my labor rate is considerably higher. I also offer no warrantee on their parts. One other way to beat this is to find a supplier that is cheaper than Year One or Mid America Motorworks. Ausley’s Chevelle, Classic Industries and Corvette America have better prices. LMC Truck also has a lot of good stuff, including remake OEM seat covers for pick ups. I’m not talking about being artistic here. I’m talking about making money. Editors Note: We’ve has asked a few members of the auto upholstery community to contribute articles for publication on The Hog Ring‘s homepage. By doing so, we aim to highlight unique and diverse voices within the industry. We’re honored to have Marc Fisher, a veteran trimmer and long-time supporter of our site, as our first contributor. Follow him on Facebook at Fisher Auto Trim, Glass and Upholstery. Great piece Marc! Our shop also does repair work, and we’ve seen that there’s also better money in it. There’s higher turnover and larger margins. Great article Marc. Getting people to realize our value is tough especially after they just got done spending 10’s of thousands on a restoration. I have reached the point where I no longer try to beat the cost of premade covers, I now give them the option of a premade cover price with installation and if they want a custom made cover in choice of colors and materials of course with a higher price. LIke I said in the article, We have 4 sewing machines running full blast all day every day. I sell premade any time I can. I have all the “Custom” jobs I want. I have a 65 Mustang fastback the customer wants as close to king ranch leather as we can get. Everything has to be made. He didnt even ask a price, and wrote me a check for $2,500 to get started. It was totally gutted when we got it. Everything in the whole interior will be new. We also have a 69 Olds 442 going back original. Original Parts group has everything we need to get it to OEM condition. The 442 is a slam dunk fast restoration, the mustang is pain staking. I had to find the OEM fold down rear seat ($1,000) used, the door glass chrome ($4-600 each.) These parts take a considerable amount of time just finding them. Thank god for EBAY! WE just finished a 69 Chev PU. Got everything from LMC truck. Took a day to knock it out. Mean time we have airplane seats, tractor seats, motorcycle seats, and people waiting for us to have a spot for their vintage auto. LIke I said upholstery is somewhat artistic, and rewarding. Getting all that praise and pats on the back make me feel all warm and fuzzy inside, but that dont pay the bills and buy me cool toys! hehe Lets make some Money!! !